If you are facing IRS debt issues, a great tool for getting them momentarily off your back is a status known as Currently Not Collectible (CNC). The IRS recognizes that you may be in a financial condition that renders you unable to pay anything on your taxes. When we represent taxpayers that are either insolvent or are having major cash flow issues, the Currently Not Collectible Status is the option that we attempt to obtain most often. If you have negligible assets (e.g. 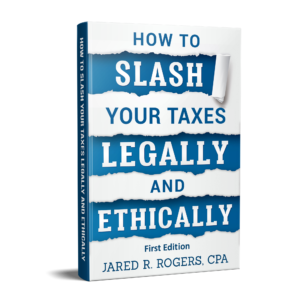 bank accounts, home, cars) that the IRS can seize, and you have no income beyond what is absolutely necessary for you to live, the IRS may determine that your liability is currently uncollectible. CNC status defers collection action under the undue hardship rule. If you are one of these uncollectible cases, the Revenue Officer assigned to your case will remove your case from active inventory until your financial condition improves. CNC status is generally maintained for about one year. Keep in mind that if you are in CNC status, penalties and interest will continue to accrue on your tax liabilities. Before closing your case for the reason of undue hardship, we can guarantee that the IRS will request a financial statement from you so that they can review your finances. The review is similar to the review for an Installment Agreement request; both of which are similar to a mortgage application. You will be required to provide financial documentation such as bank statements, copies of mortgage statements, car payments, pay stubs, etc. If your assets are negligible and your net disposable income is negligible, you’ll most likely to be able to obtain CNC status. The IRS will periodically re-examine your finances to see if your financial condition has improved to the point that some payment can be demanded. This financial review will occur about once a year and you must then complete a new financial statement. The IRS may question you by phone or in person about your updated financial information or they may simply send you the form and request that you return it by mail. As with all information you give the IRS, make sure that what you say is absolutely truthful. The IRS may also monitor your financial condition by computerized review of your tax returns. For example, the IRS computers may flag your return if your reported gross income exceeds some pre-established amount. Remember, the IRS only has 10 years from the date of assessment to collect delinquent taxes; once the statute expires, so does your liability. Millions of Americans have remained in CNC for years and completely avoided having to pay their back taxes. Obviously, these folks could not title assets in their own name or have significant income available for IRS levy. Still, many of these uncollectible cases enjoyed relatively comfortable lifestyles. If you maintain no assets in your own name, you have a small income, and expect your financial situation to continue as it currently stands, then remaining in CNC status may be your most practical remedy. However, if you do not intend on remaining uncollectible until the statute of limitations expires or you don’t want the tax liability hanging over your head, then you may want to consider an Offer in Compromise while your financial situation isn’t so great. This post (the one you’r reading) is one of the most viewed on our site. Why? Because many people have tax issues that they want to resolve. If you have old tax returns that need to be filed or want to learn how a professional can help you with your situation, why not visit our sister site File Old Tax Returns? You might be surprised to learn that we may be able to help you out for less than you are thinking. Plus, hear some valuable information on your taxpayer rights from the IRS Commissioner himself! This entry was posted in IRS Talk and tagged Buying time with the IRS, Inability To Pay IRS Debt, IRS CNC Status, IRS Currently Not Collectible on September 12, 2013 by Administrator.